More than a half-dozen news organizations are supporting three online journalists who published articles about a top-secret technology product that Apple Computer Inc. says was protected by trade secret laws. "In an era when anyone with a computer and modem can publish information that reaches thousands, who is a 'journalist?' asked Peter Scheer, executive director of the California First Amendment Coalition. "The answer matters like never before." In December, Apple sued 25 unnamed individuals — presumed to be Apple employees — who allegedly leaked confidential product information to three people who run Web sites widely read by Apple enthusiasts. The company said the leaks violated nondisclosure agreements and California's Uniform Trade Secrets Act. 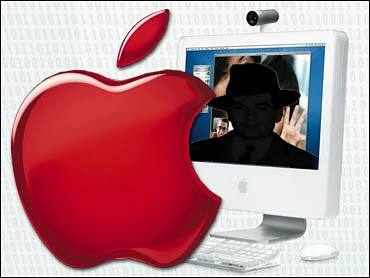 Apple then demanded that the online reporters' Internet providers identify the leakers by turning over e-mail records. The online reporters sought to block the subpoenas, saying that identifying sources would create a "chilling effect" that could erode the media's ability to report in the public's interest. Santa Clara County Superior Court Judge James Kleinberg ruled in Apple's favor last month, saying that reporters who publish "stolen property" aren't entitled to protections. The online reporters then appealed. Now the mainstream media have weighed in: eight of California's largest newspapers and The Associated Press submitted a court brief Thursday asking that the online publishers be allowed to keep their sources confidential. The media companies said Kleinberg's ruling, if upheld, could impair the ability of all journalists to reveal important news, from financial corruption to government cover-ups. Before demanding that the online publishers' Internet provider turn over e-mail records, the companies said, Apple should "exhaust all alternative sources" of identifying the source of the leaks. Joining the brief were the Tribune Co.'s Los Angeles Times, Hearst Newspapers' San Francisco Chronicle, Knight Ridder Inc.'s San Jose Mercury News, The Copley Press Inc.'s San Diego Union-Tribune and Freedom Communications Inc.'s Orange County Register, as well as The McClatchy Co.'s Bee newspapers in Sacramento, Fresno and Modesto. Also supporting the brief were the California Newspaper Publishers Association and the nonprofit free speech organization California First Amendment Coalition. Apple spokesman Steve Dowling wouldn't comment specifically on the media companies' brief but emphasized that Apple must protect its product secrets. "Apple's DNA is innovation, and protection of trade secrets is crucial to our success," Dowling said Monday. But Scheer said the reporters were members of the media — and the case could impair all journalists' abilities to develop sources. "Even if these stories had been written by The New York Times, not only could The New York Times be forced to disclose its sources but because of the nature of the information, The New York Times might even be at risk for criminal prosecution for publishing such a story," Sheer said. "This started out as an important but quirky case about bloggers but it morphed quickly into a much more important case about First Amendment protections when newspapers are writing about information that can be characterized as being a trade secret." Dave Tomlin, assistant general counsel for the AP, said the case has implications for bloggers, online reporters and traditional journalists.